A special edition DVD box set for staff working with under threes. When working with babies and toddlers, we need to create a rich and stimulating language environment where they can develop their confidence and enhance their skills in expressing themselves. 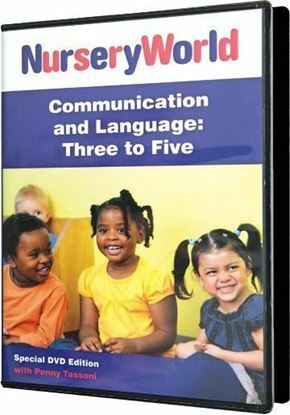 In this DVD box set, we take an in depth look at communication for under threes. We will observe adults working with babies and toddlers in inspiring settings to show examples of language and communication development. We will discuss how the mind and memory develops for this age group and give practical ideas on how you can creatively enhance and encourage achievement. • Consider a variety of creative communication strategies to stimulate early speech and increase engagement. • See examples of songs, stories and rhymes which engage babies and toddlers. • Observe scenarios with under threes and recognise and overcome common challenges. • Feedback to parents and work with them to ensure a positive approach both at home and in the nursery. • Introduce communication strategies for babies with English as a foreign language.